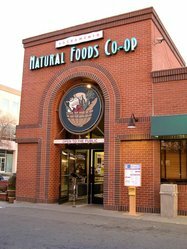 Members of the Sacramento Natural Foods Co-op are pushing for a boycott of Israeli goods within the store. The Co-op's members will soon vote on the issue. Read about similar boycott efforts at food co-ops here. By Shane Goldmacher, Los Angeles TimesReporting from Sacramento -- Its aisles brimming with a rainbow of ripe organic produce, bins of grains and refrigerators stocked with soy everything, the Sacramento Natural Foods Co-op has long been an oasis of civility in this combative city. Democrats and Republicans may quarrel at the Capitol a few miles away, but here they break gluten-free bread, munch on kale chips and sip acai juice in blissful bipartisan harmony: "Peace, love and granola," said Republican strategist Donna Lucas, a proud co-op member. But now politics has intruded on their sanctuary. A small band of members pushed the co-op board to strip store shelves of Israeli-made items, arguing that Israelrepresses its Palestinian population and the co-op should take a stand. They collected signatures and demanded a referendum on the issue, but the board said no. So the activists launched a campaign to take over some board seats. Votes will be tallied Saturday. Susan Bush, one of the rebel board candidates, says the battle is about more than Israel. The co-op is suppressing voices, acting corporate, she says. Soon it could be "selling Coca-Cola, for God's sake." The co-op's political elite has responded in rare bipartisan form and with all the trappings of a full-on electoral fight: membership drives, a get-out-the-vote operation, a Facebookpage, even phone banks. "We know how to do elections," said Barry Broad, a Democrat and blue-chip union lobbyist by day, socks-and-sandals co-op member by night. The brick-walled cooperative, with more than 12,000 member-owners, traces its roots back nearly four decades. It twice outgrew its confines and then landed in a quiet east Sacramento neighborhood in 1989. But with only about 50 parking spaces and $26 million in annual sales, it's almost bursting at the seams again. Inside are floor-to-ceiling collections of rice cakes and vegan fare. The poultry comes fattened onvegetarian feed. The stuff can be pricey, but people aren't here looking for bargains. Standing in the wellness aisle, general manager Paul Cultrera couldn't remember which Dead Sea bath salts were which. Some are evaporated in Jordan, he explains. Those aren't troublesome. The ones dredged on the Israeli side are. Cultrera said revenue from Israeli-produced goods is a relatively meager $15,000 annually. The products include ice cream cones (gluten-free, organic and vegan), two types of matzo and, during the Jewish holidays, some kosher wine. Outside, the protesters and the political pros have been squaring off for months. On a warm summer day, protesters lined the sidewalk, tambourines in tow, making their case to the tune of "This Land Is Your Land." "This is my co-op, this is your co-op, we are member ow-ners, our voices ma-tter," they sang. "This co-op belongs to you and me." Maggie Coulter, a state retiree and organic gardener, spearheaded the call for a boycott. The financial stake may be small, Coulter said, but the symbolism is huge. It could even, she said, push Israel to change its policies, one American food cooperative at a time.